As CPS’s focus on Freshman OnTrack has increased, district graduation rates have increased. 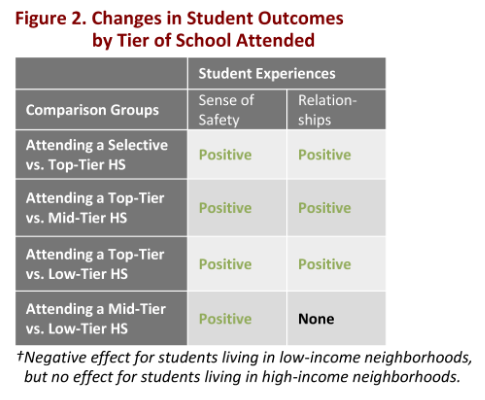 When schools reduced the use of out-of-school suspension for severe infractions, on average students had slightly higher student test scores, and were more likely to come to school. 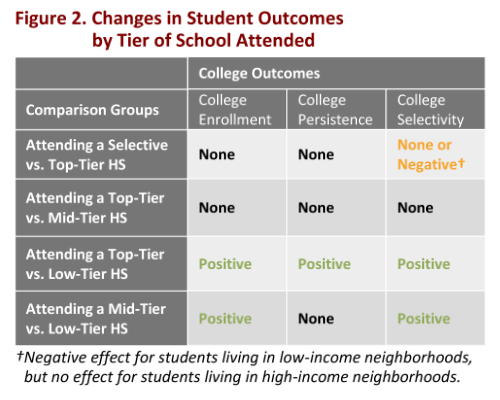 CPS charter high school students were more likely to transfer to a different high school than students enrolled in non-charter high schools. A majority of CPS teachers felt prepared to teach the Common Core State Standards in 2014-16, soon after full implementation of the standards by the district. 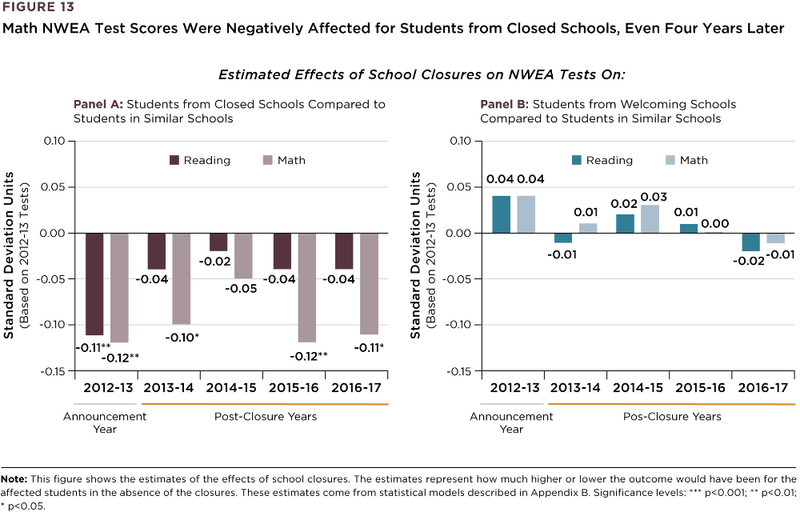 After CPS closed 49 elementary schools in 2013, test scores of students in both closed and welcoming schools were negatively affected, with students from closed schools experiencing the largest negative effect. 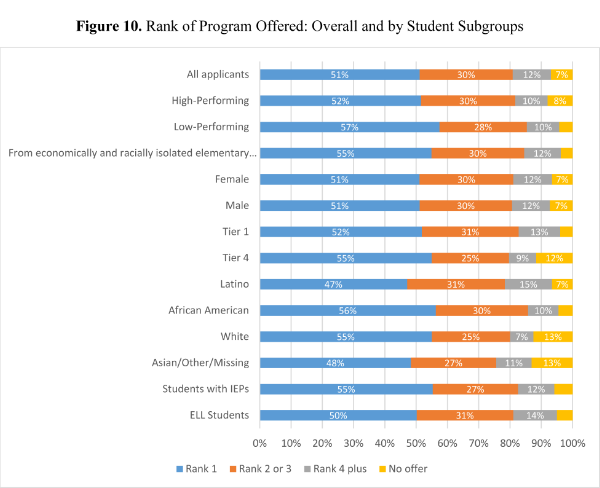 More than 80 percent of GoCPS high school applicants received an offer at one of their top-three ranked programs. Under REACH, Fewer Teachers Rated "Excellent"
REACH teacher evaluations led to changes in teacher ratings across the district: fewer were rated as “excellent,” and more were rated as “developing” than with the previous rating system. Many districts, including Chicago, are expanding their efforts to increase Computer Science (CS) education. In this study, we answer questions by taking a longitudinal look at CPS’s efforts to make introductory CS education universal at the high school level, examining student enrollment and performance in CS, as well as the influence of CS course-taking on student outcomes. 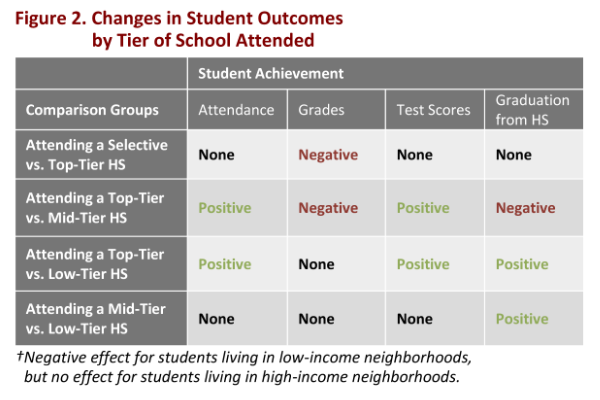 In partnership with UChicagoSTEM, the UChicago Consortium is studying implementation of the Common Core State Standards and Next Generation Science Standards in Chicago, examining teacher and administrator perceptions of district supports, barriers, and changes in students’ experiences in their math and science classes.